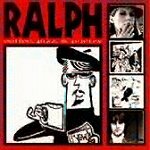 A much-decorated veteran of Toronto's late-Seventies punk wars, the well respected Ralph Alfonso's now resurfaced on Canada's we(s)t coast, his good sense of observation and, yes, humor thankfully intact. Gone now may be the spiky ?tudes of yesteryear; in their place bravely rises our hero's very own tongue-in-(clean-shaven! )-cheek brand of post-slacker, non-cyber chat. No, not exactly the dreaded spoken-word collection (though all requisite reference points, from Paris to Chet Baker, are duly employed), this surprisingly hummable "deep lounge" disc even goes so far as to, in "We're The People That Love Forgot", present a version of "Louie Louie" in which not only are the lyrics audible? they actually matter. And it's all in that wonderfully patented Bongoramic sound too? or, for those who'd still prefer to let their eyes do the walking, Ralph regularly publishes a mimeographed Gestetner version of his wily world-view as well. Either way, Delicious!